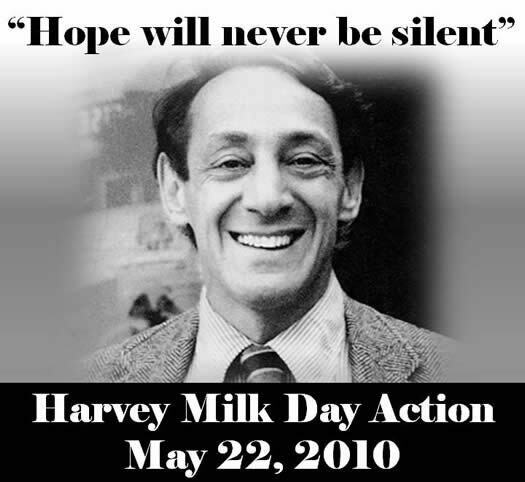 O ne day this week I saw on television an interview with Stuart Milk about his Uncle Harvey Milk who was one of the worlds first openly gay elected officials. Harvey was in every way lesser than Jesus. Yet there was something about his death that reminded me of Jesus. If you go to Youtube and search for Harvey Milk you will come to a series of videos that tell his story. Harvey served less than a year in public office before he was brutally assassinated. His life and death profoundly changed a city, state, nation and a global community. His courage, passion and sense of justice rocked a country and stirred the very core of a put down and pushed out community, bringing forward new hope and a new vision of freedom. Senator Feinstein, the senator who is the most zealous proponent of gun control, was on the scene of his assassination. I am reading and rereading the account of Jesus’s activity and words during passion week. I am impressed by the deliberate way in which Jesus challenged the people to a better life even knowing that it would lead to his death. A woman sensed that he would be killed by his enemies and she anointed his feet with expensive perfume. His enemies complained. This perfume could have been sold and the money used to feed the poor. Jesus explained her deed. She knows what you don’t acknowledge. You always have the opportunity to give to the poor. But the time is near when she won’t be able to do to me what she has done. Last night I washed hands with a brother a bit older than I. We had been boys together in neighboring churches and were in Eastern Mennonite School together. But we were in different bishop districts, and life had separated us. Now in our old age we enjoy each other. The Old Fool has so much on his aging mind that he can hardly blog. If he were so inclined he would see a world plunging into darkness. But then he learns of the new pope who left off washing the feet of priests, and went to a prison to wash the feet of inmates, including the feet of two women! He washed and kissed the tattoed feet of imprisoned youth, saying “I am here to serve you.” The Old Fool’s heart is filled with admiration and hope. Join the Old Fool with the longing to be like Jesus in this world. This entry was posted in Biblical Interpretation, Faith, Homosexuality, Politics, Uncategorized. Bookmark the permalink. I like receiving your emails. I’m still in the congregation of your father where we were in the same S. S. class. A young fellow in the congregation who ran across your blogs told me last week that he thought you would feel right at home in our congregatio right now. Time brings changes if we allow ourselves to grow. I wanted to tell you that my brother, Irvin, died last evening, Easter evening. He had been in Menno Haven through the various levels of care for several years. His wife Margaret died nearly four ears ago. Now they are united. Thanks, Merle, for your comment with news about Irvin. He was a member of our wedding party on April 5 1947. That was the day before Easter that year. I know my cousin, John Clark, will miss Irvin because they used to travel together from Menno Haven to Mennonite Churches.